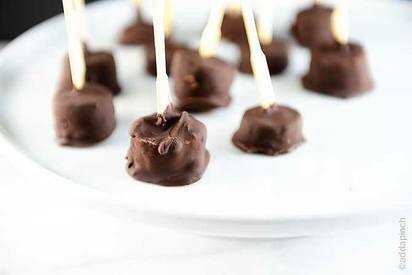 Chocolate Dipped Banana Bites make a quick snack recipe! Made of just three ingredients, this simple treat is healthy and delicious! In just a few minutes and with minimal ingredients, I can have these banana bites dipped and ready to place in the freezer. Then, after about 15 more minutes in the freezer, they are ready to be enjoyed. Talk about a family friendly treat!